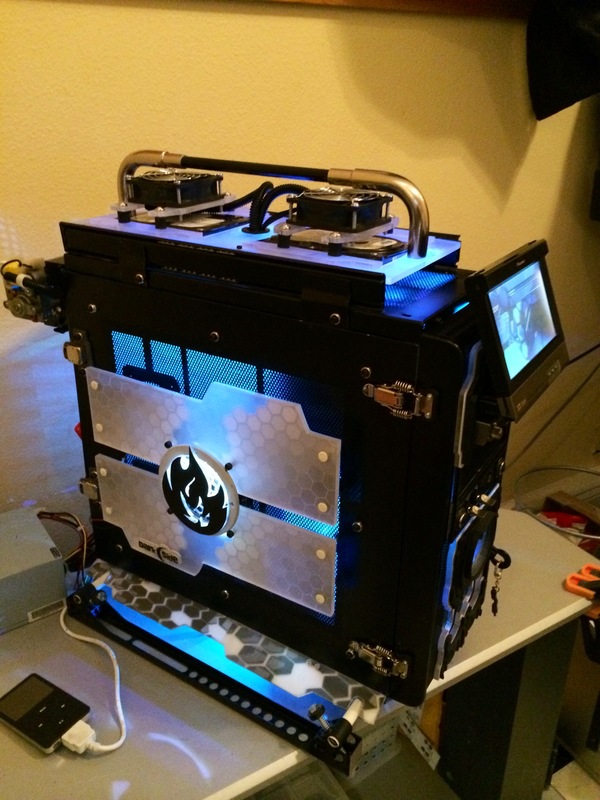 3D printing has taken the manufacturing industry by storm but, it’s also recently weaved it’s way into PC Case Modding. 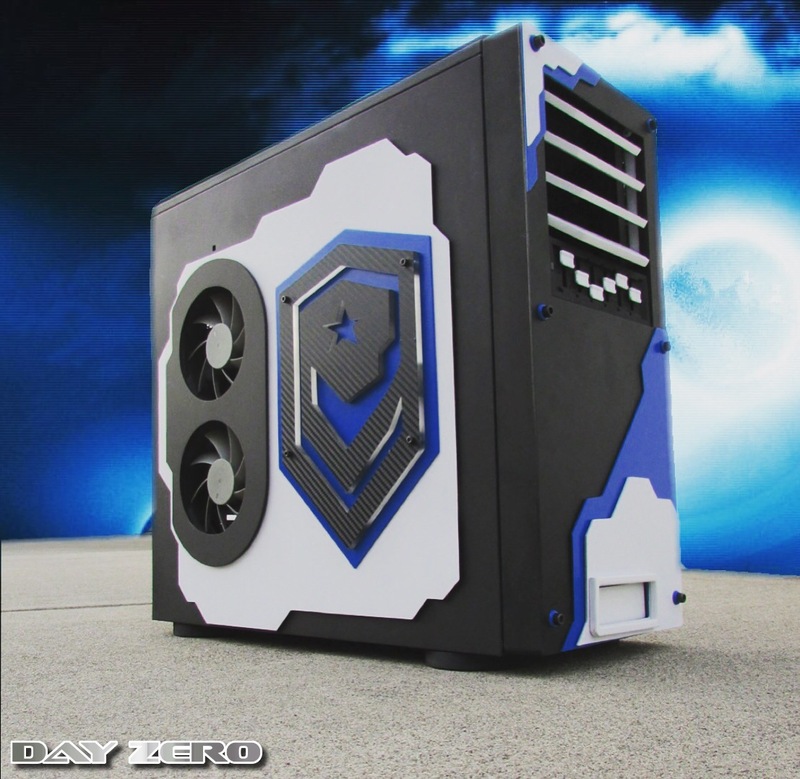 PC Case Modding is a way that users can customize their desktops to be an extension of their personalities. 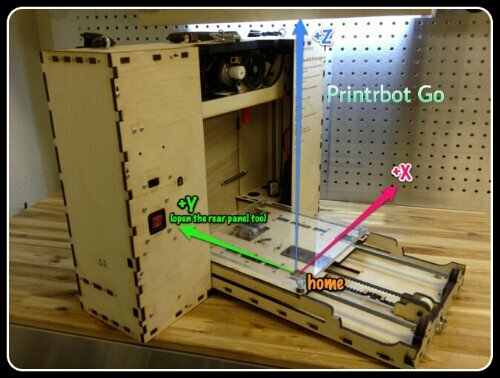 Much like how we love to mod our 3D printers to fit our needs and style. 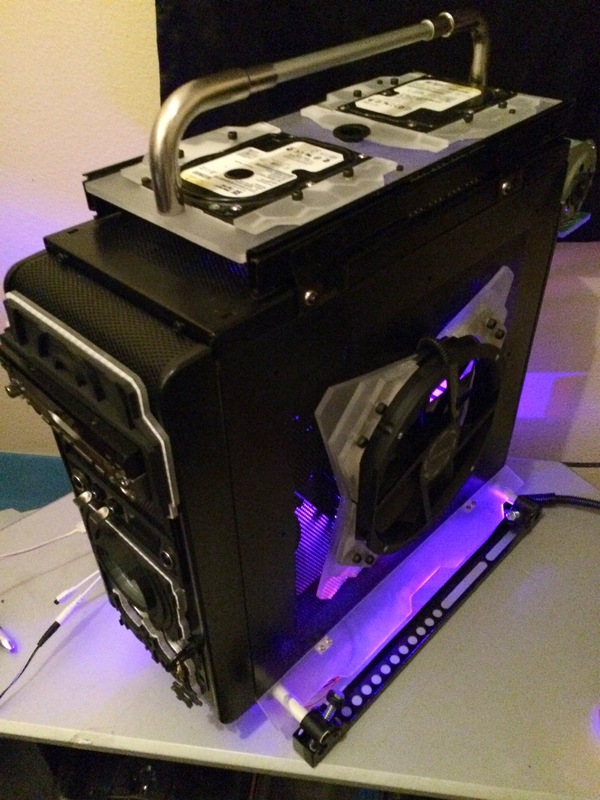 I have found that 3D printing has made it’s way into many sub markets but, case modding wasn’t one of those until more recently. 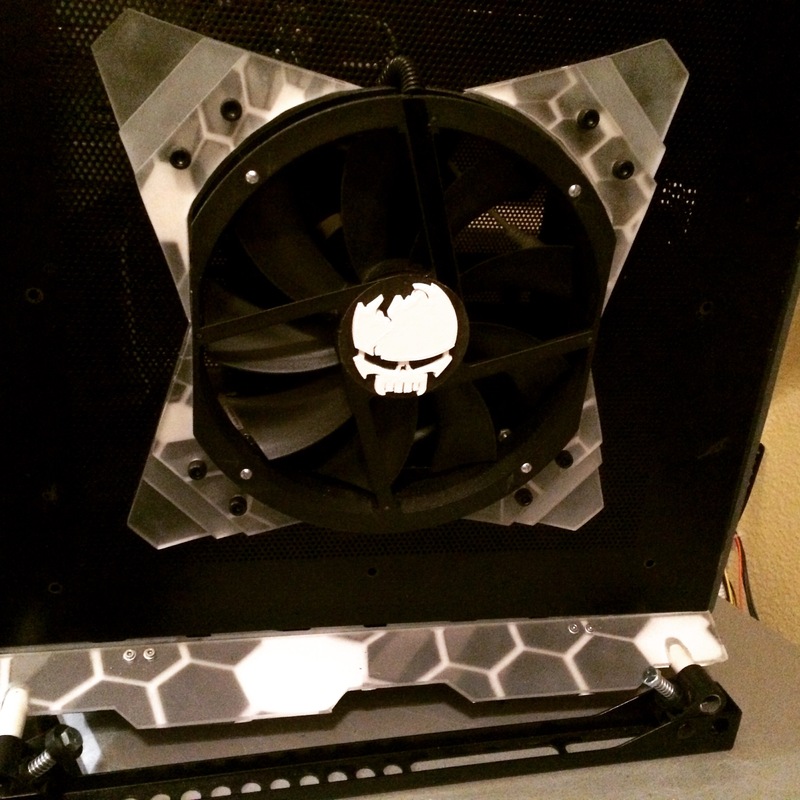 Being a huge fan of both modding and 3D printing; I decided it was time that they both met. 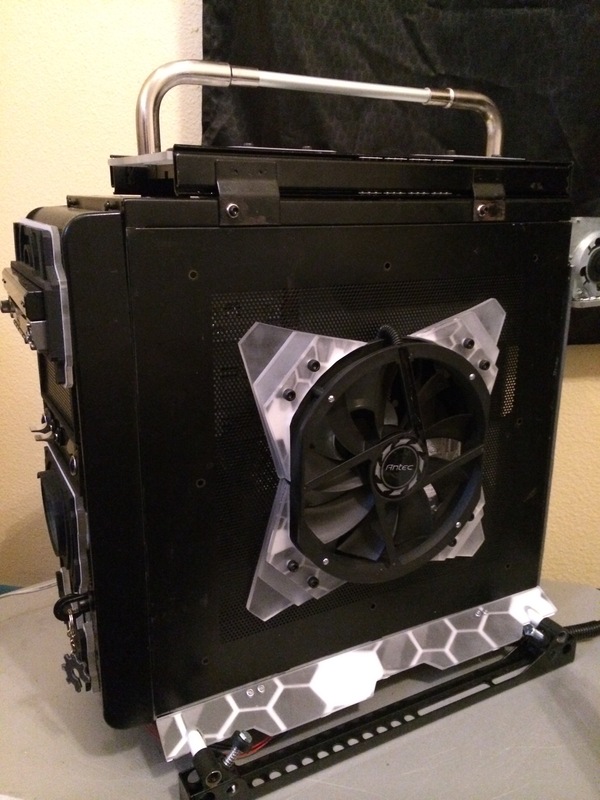 I grabbed a 10+ year old case and tore into it, promising to myself that it would be something that had never been seen before. 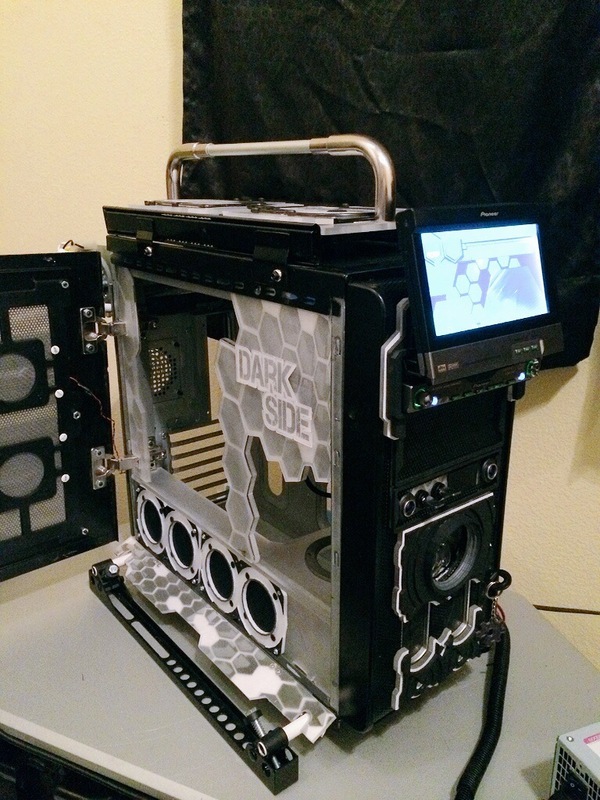 The build soon became known as, “The Dark Side” case mod. I tore into it taking my style and 3D printer along for the ride. 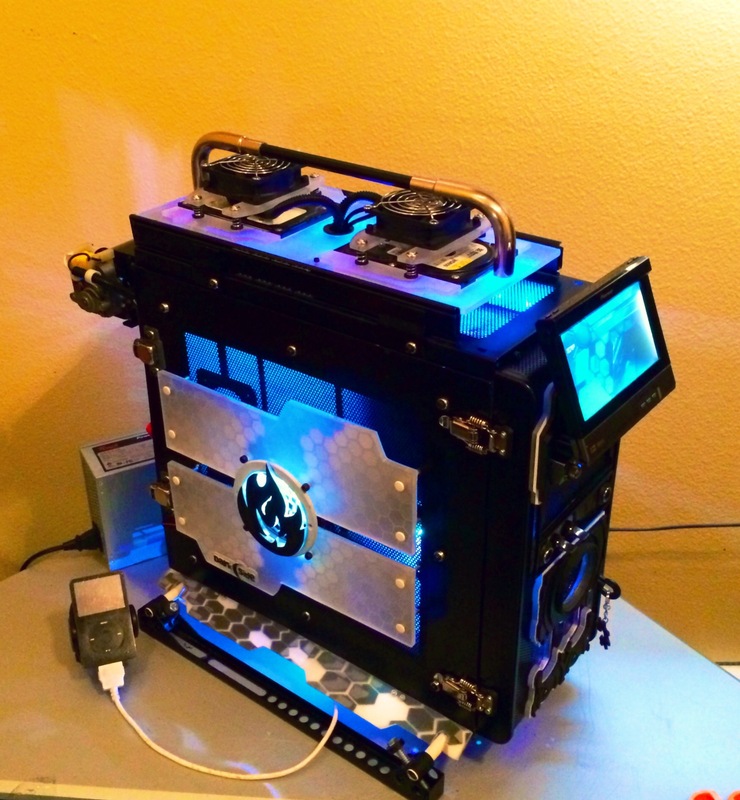 The case started out as PC version of Macs G5 styling. Its 3 months later and I still haven’t let go of the build. 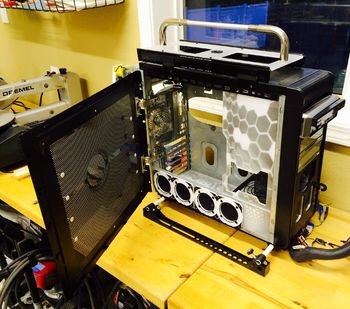 Almost all of the 3D printed parts on this case have been designed and built from scratch by me. 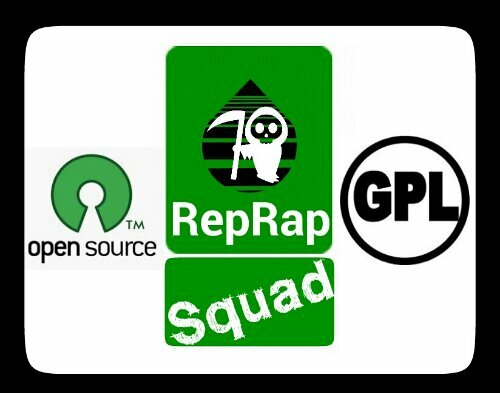 There is still a long way to go but, this build has already grabbed the attention of thousands via OverClock.Net. 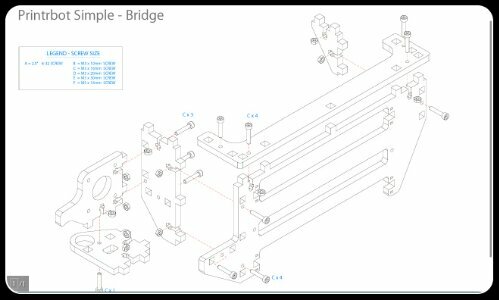 It’s build log (from start to current date) can be found in the work log section of case modding or by clicking HERE. 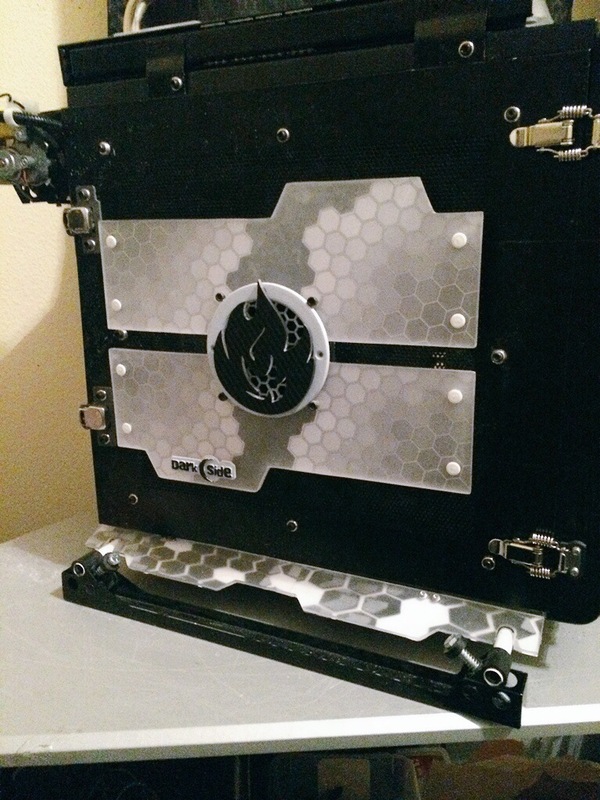 The top hinges and slides back to offer up access to parts of the case that are typically hidden. The side panel has been remounted to make them suicide doors sitting on farrari hinges. 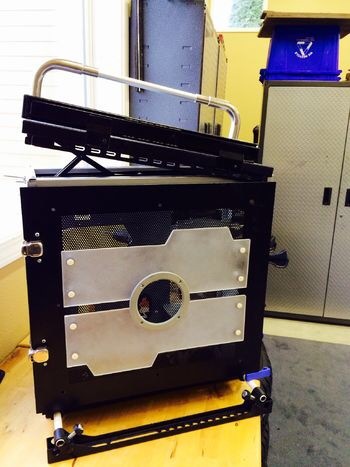 Custom brackets were designed to merry the bottom skids. 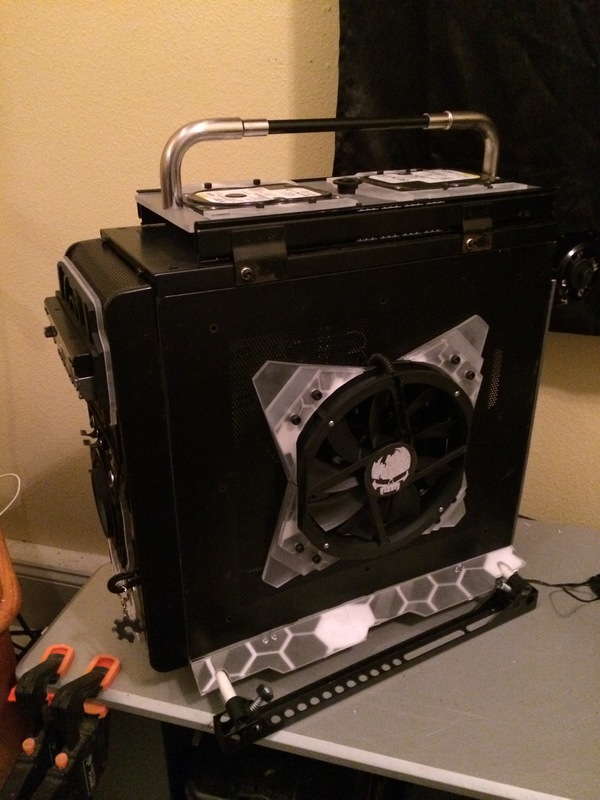 These skids keep the case off of the ground which helps with cooling. This is a motorized flip out touch screen that is used to monitor system information. It can also be used as an extra monitor. 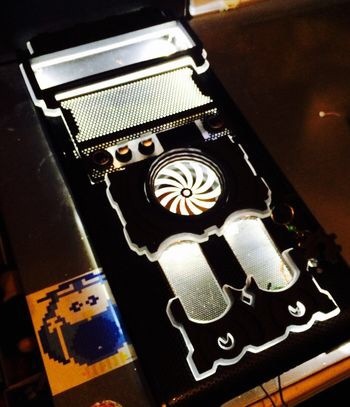 It has a intigrated 60 gig hard drive as well. 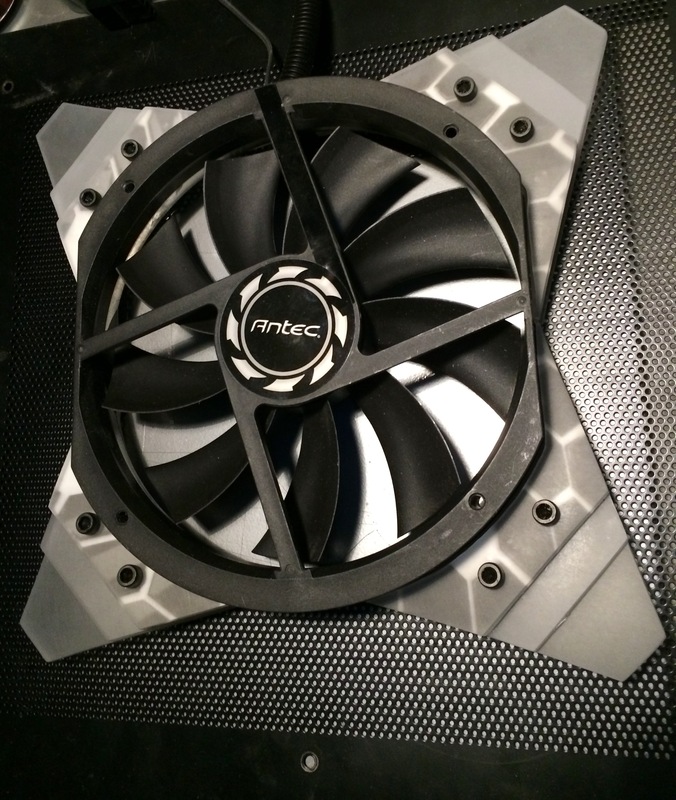 This is our side mounted 200mm Antec fan. 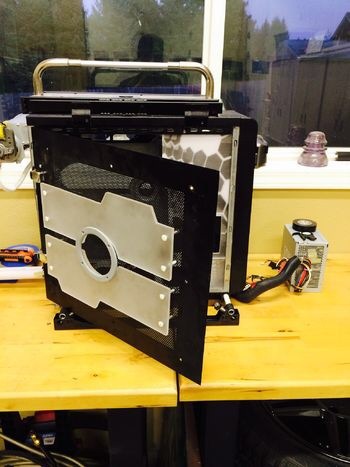 Custom brackets were made to mount it to the panel. 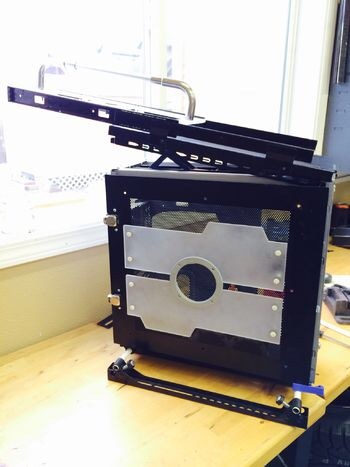 There are custom ordered, spring reinforced draw latches for the side panel. 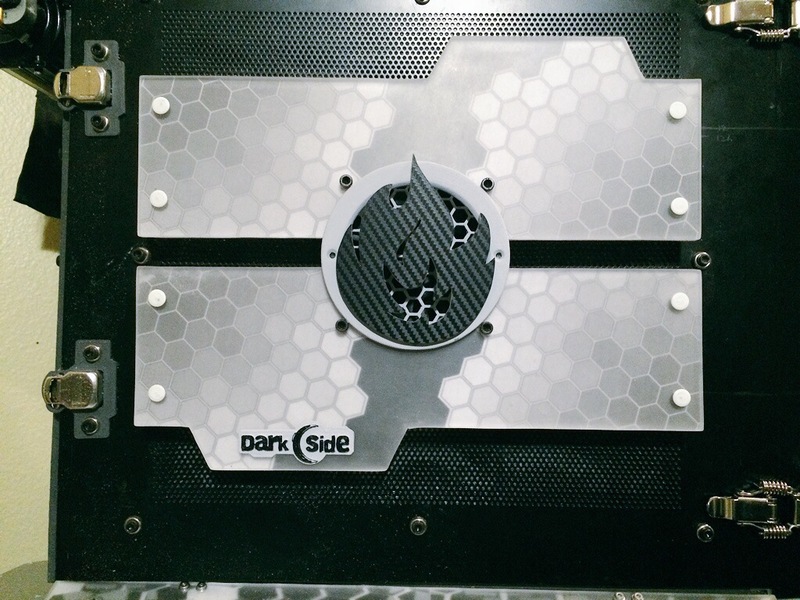 We added a carbon fiber wrapped OverClock.net flame on the side. 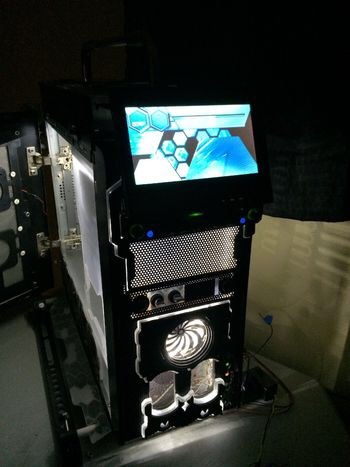 It’s back lit and also has a fan mounted to exhaust air from the case. 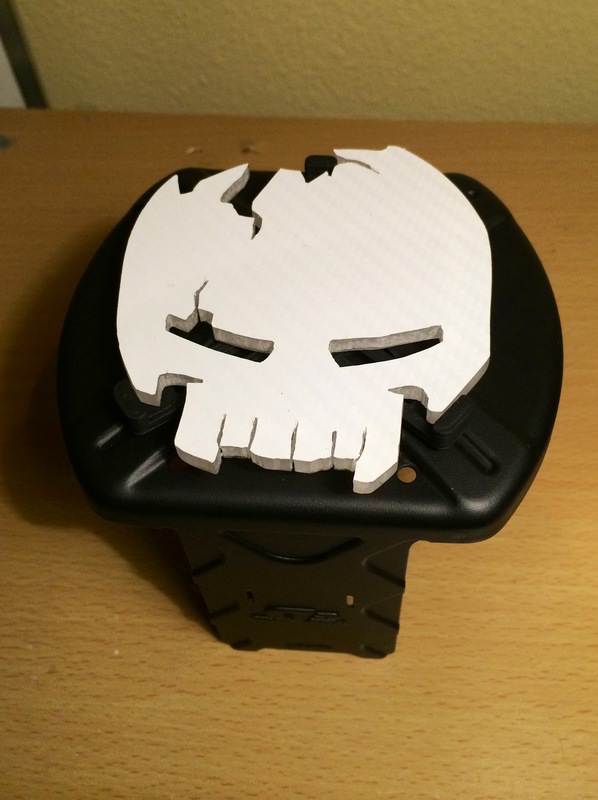 This is a custom built ReaperN1 avatar that has been added to the top of the massive CPU cooler. 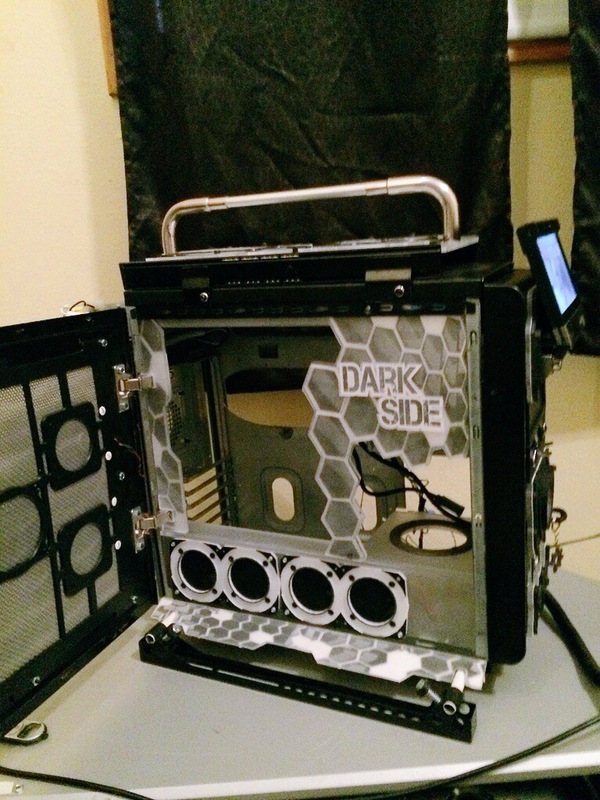 The Dark Side Case Mod is getting close to completion but, it still has lots of work to go. 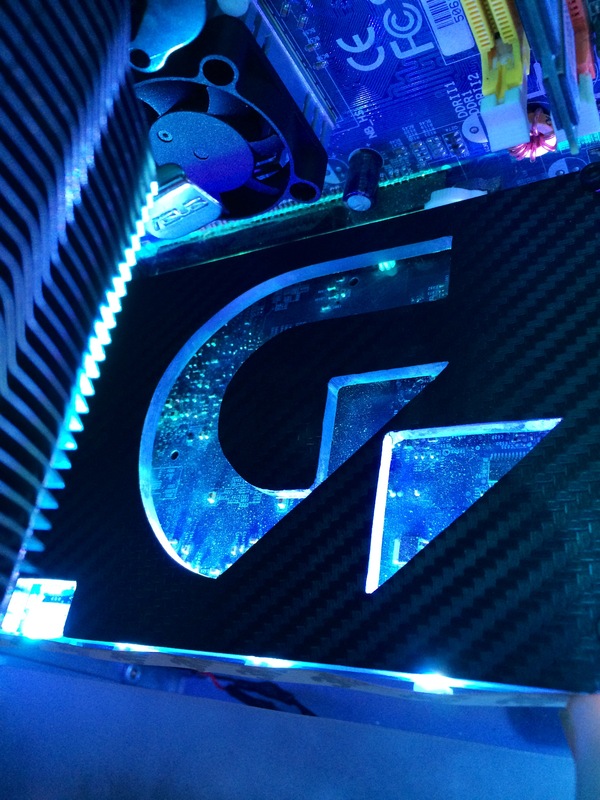 Here’s the custom built GPU backplate with Gigabytes logo shining blue. 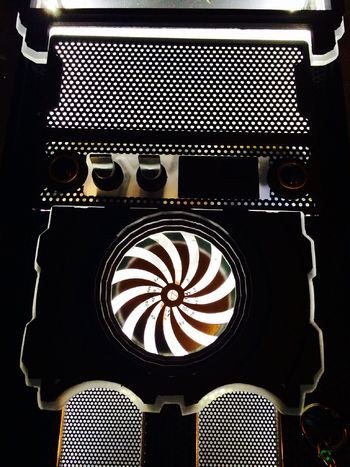 I decided to carry the ReaperN1 logo over to the center of each fan on the case. 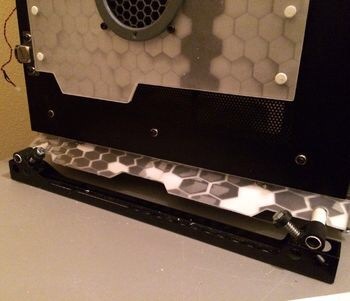 Custom built and 3D printed cable management setup for the wiring that goes behind the motherboard tray. 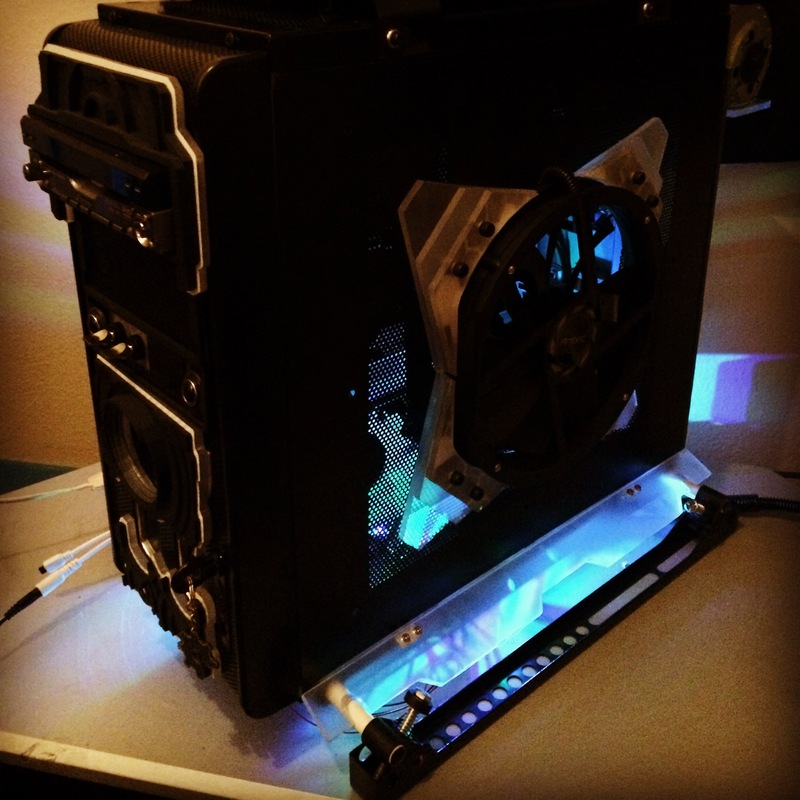 Custom made parts done through Envious Mods.